Luis Enrique Rojas Moya I am validating that this deal works as described. 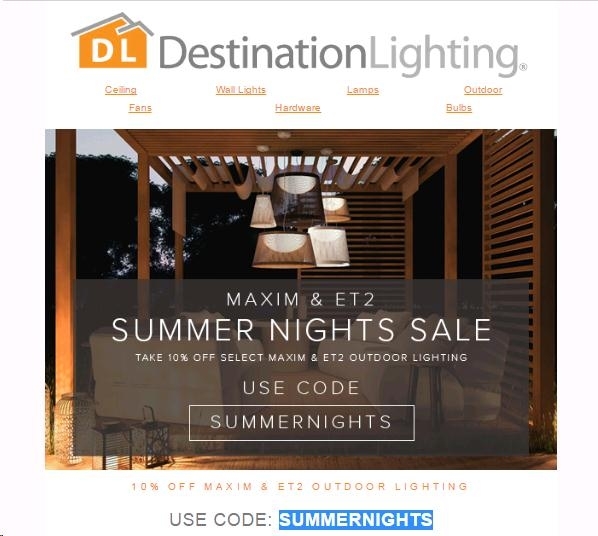 Just apply the coupon code and Get 10% Off Maxim & Et2 at DestinationLighting. Flora Terms of offer are subject to change. 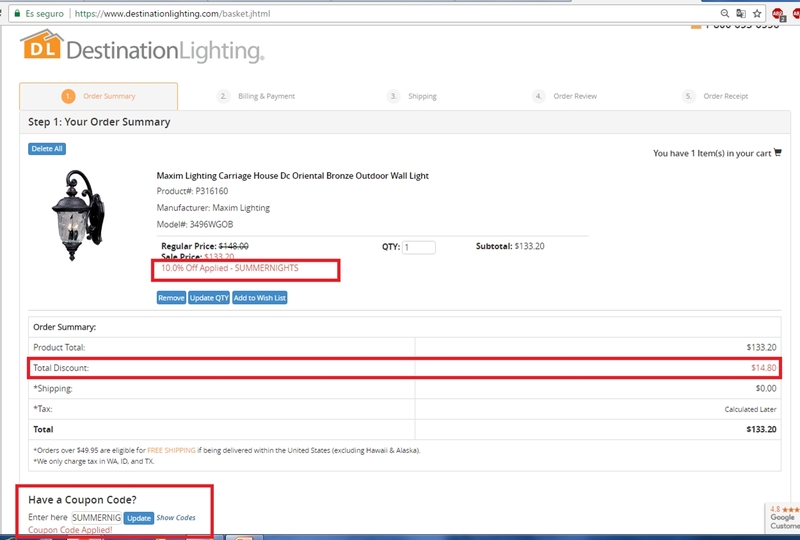 Final sale items cannot be returned or exchanged. 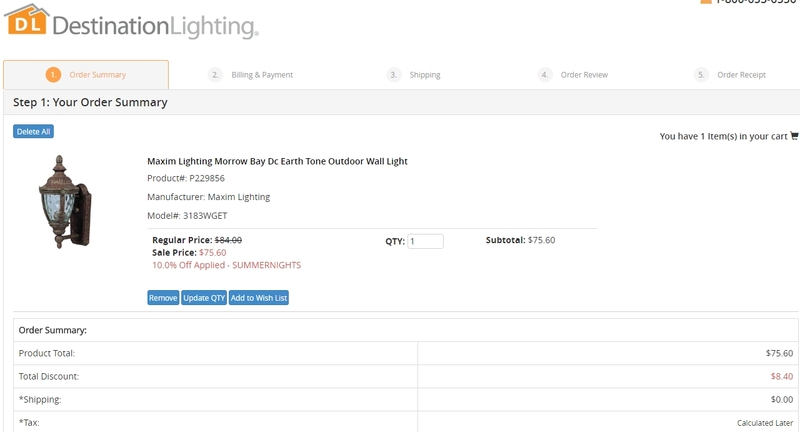 To redeem online, enter promo code at checkout.